Your road bike is your freedom. It is your ride for easy commuting, a training cycle busting out 70mph on your favorite track, and your vehicle for a casual Sunday ride around the neighborhood. No matter what type of cyclist you are, there are great pieces of gear you must have to get ready for the peak season in cycling. Tech gear can not only act as cool additions to your cycle, but can potentially keep you safe from harm. Not to bring you down from your happy cycling place, but according to the League of American Bicyclists, getting hit from behind is the cause of a stunning 40% of cycling fatalities in the U.S. As someone who has personally been affected by a tragedy like this, it is important to remind yourself that you and your rig are at risk when on the road. This is what makes gadgets that can upgrade your bike safety, a great investment or gift to a fellow cycling buddy. Let us take the Garmin Varia Rearview Radar first. The Varia Vision Insight Display is a great gadget for cycling enthusiasts. This device boosts your awareness in a different sense than the Garmin Rearview. This wearable product keeps track of your cycling stats! The stem of this unit attaches to either arm of your sunglasses and the display window wits outside of your direct line of vision. Your cycling data is then streamed and relayed from your bike computer (which must be compatible). We recommend pairing it with the Garmin Edge 1000, as this device can be paired with other items on this list, as well as other cool cycling tech. 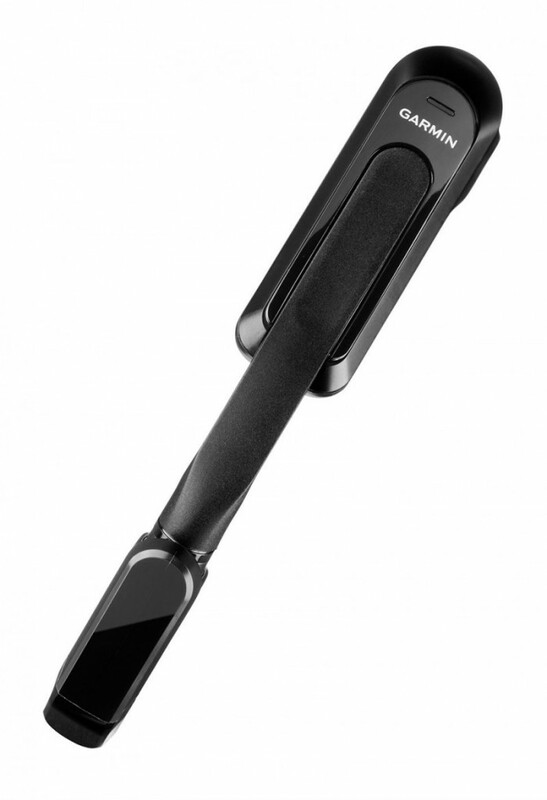 You simply slide your finger along the stem in order to switch between screens. This Varia Vision Insight also syncs with the Rearview Radar (reviewed above) by Garmin, for complete notification synergy. Just like with your cycling computer, you can set up and arrange different windows to organize the data you want to see while you are riding. This is such a great way of challenging yourself and keeping track of your progress. You can view speed, cadence, time, power, distance, and elevation with a simple swipe of a finger. These windows are easily accessible and easy to read. Using the Vision Insight Display is not as distracting as looking down at a computer and swiping through screens while riding with one hand; however, it is not without its faults either. While the device is only 1.1 ounces in weight, your sunglasses you use to ride are probably lighter, which can cause your shades to pull down a bit. This is easily avoidable by knowing this ahead of time so that you can buy new shades or go in-store and attach this device to different pairs to find that perfect match. Once you have been wearing the Varia Vision for a while, you become accustomed to it and it fades into the background, becoming a convenient tool that you can use (or ignore) for stretches of time. Plus, you get to look like a cycling Terminator, which is pretty cool. You can purchase the Garmin Varia Vision Insight Display for $399.99. READ Is this Yet-Unnamed Cycle the Lightest Road Bike Ever Built? This radar tail light mounts to your seatpost and can detect vehicles approaching up to 153 yards away. 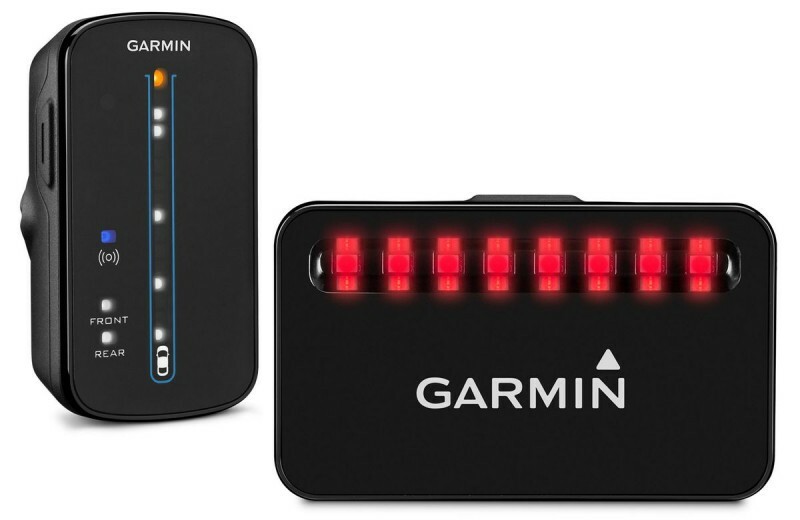 Once it detects a vehicle, it communicates wirelessly with the display unit (or any Garmin Edge computer) that will give you a visual heads up as you cycle. The Varia Rearview Radar also flashes brighter at times it detects vehicles so that you can become more visible to drivers approaching you. This gadget does this all for you, hands-free, so you can focus more on cycling. We did find, however, that this radar was less helpful on city streets and busy bike lanes, as there is nearly always a car or bike behind you. But if you are using this device for cycling around your neighborhood bike path, less-cycled areas, on trails, and roads that do not see a lot of other cyclists, then this gadget is a great idea. Having advanced warning of a car or truck approaching from behind at 60 miles an hour can certainly only help you keep safe. Overall, this Garmin gadget helps to boost your awareness about what is around you, especially in less-congested routes, without needing you to push buttons or lose focus on the road ahead. We mentioned the Edge 1000 computer device in this article already, due to its compatibility with a range of Garmin gadgets you can use for your bike. This powerhouse of a GPS bike computer is a lynchpin for all of your connected devices and your phone. The functionality and features are excellent: it is easy to sync up with all other products in this review, including PowerTap’s P1 Pedals (below), and the high-resolution, color touchscreen is very user friendly, even with gloves on! The navigation features proved to be excellent for those seeking some fun and looking to explore. 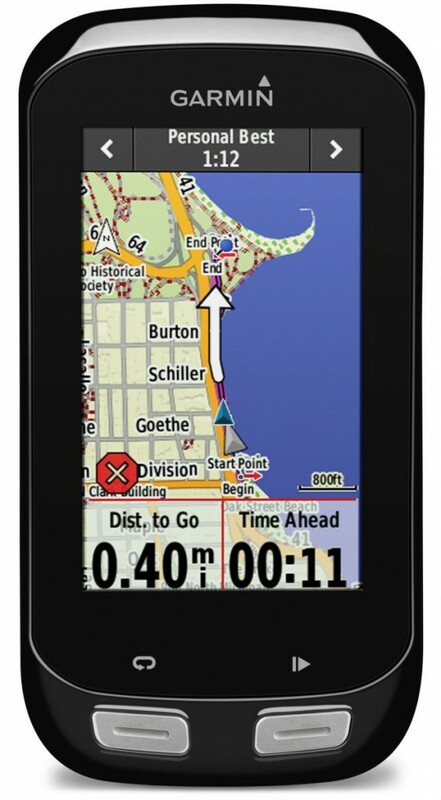 As a Garmin product, the GPA is fantastic. You can also be notified of places of interest along your cycling route, or if you are feeling more adventurous, you can have the computer suggest three different routes, based on the distance you want to ride. For those always looking to go farther, faster, and longer, you can customize up to 10 training pages to display the data you are gathering along your ride from cadence sensors, power meters, heart rate monitors, and gadgets like the Varia Vision Insight Display we reviewed above. The Edge 1000 will pair with any sensors over ANT+ and if you pair the Edge with a Garmin power meter, the Cycling Dynamic metrics will give you data for days. When you are ready or pro training, the Edge is compatible with the powerful WKO4 analytics software, too!. You can plan for your present and future with the Edge 1000. As wonderful as all of these pluses sound, many of the Edge 1000’s compatibilities are also available in other Garmin computers. You could pair a less-expensive or tricked-out computer with a smartphone and apps in order to access similar features at a lower cost and a lighter weight. For example, the Edge 520 weighs 2.1 ounce compared to the 1000’s 4 ounces. That being said, if you want all of the goods in one sleek package, then the Edge 1000 is a great choice. Soup up your bike with a computer that feels, looks, and works as hard as you do. For the real pros out there — the expert cyclists who take their training and riding seriously — are the P1 Pedals. Avid cyclists can clip into PowerTap’s P1 Pedals for use as a power meter. If you love gathering a ton of data on your quest for peak performance, these pedals can do it all and more. The P1’s measure how much power you are applying to the pedals throughout the entire rotation on each side of the bike. Separate right and left side readings are what set these pedal power meters apart from the rest, who only pull data from one side. Not only can you see the overall watts you are pushing out, but how much power each leg is cranking relative to the other. In addition, it tracks your power and where in the rotation your power changes. This is the crucial kind of information that helps serious cyclists seeking to improve their form and speed to train better and to minimize injury. The PowerTap P1 Pedals have a simple design that makes them very easy to install and you can even switch them to different bikes. Even if you don’t have a torque wrench, you can still get your installation angles just right. As long as you get the old pedals off, these are “plug and play” as PowerTap claims. They are also compatible with an array of bike computers and smart devices. Although PowerTap recommends its Joule GPS+ to get the most out of the data, you can sync these pedals to PowerTap’s iOS application, which just got an upgrade with Advanced Pedal Metrics. Even more data! Although, you will have to swap in their three-bolt keo-style cleats (included) for your current cleats before you are ready to roll. 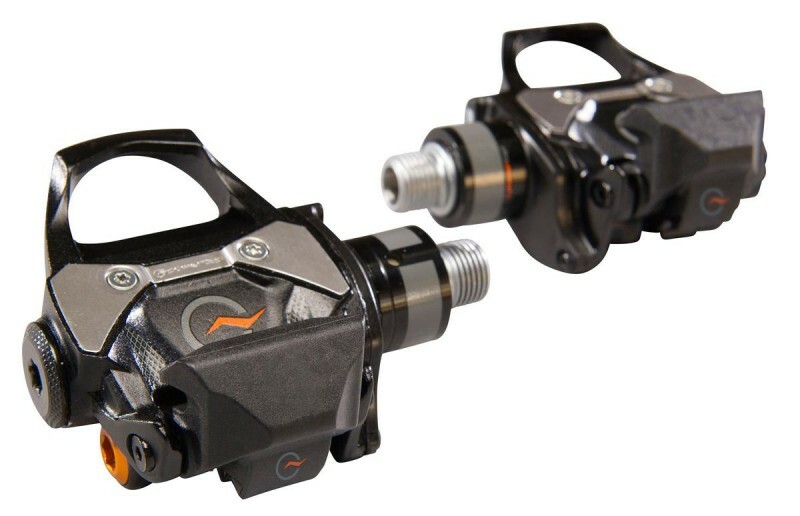 The PowerTap P1 Pedals will cost you $1,999.99.